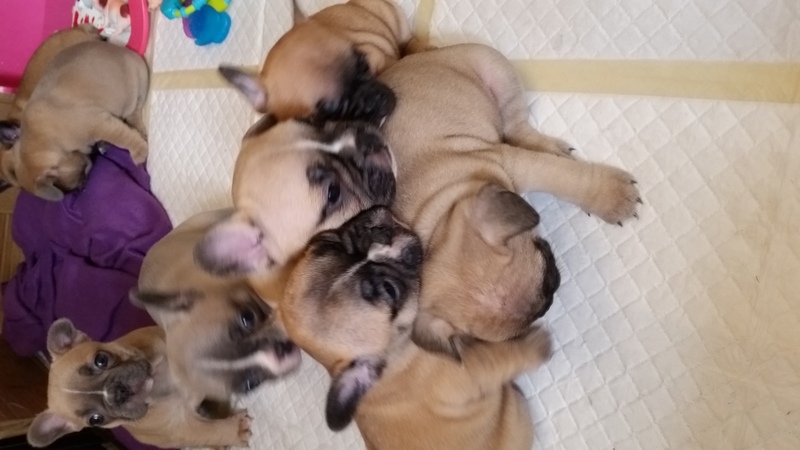 Here we have our litter of 8 beautiful french bulldog puppies from our gorgeous red fawn girl 'Beau'. 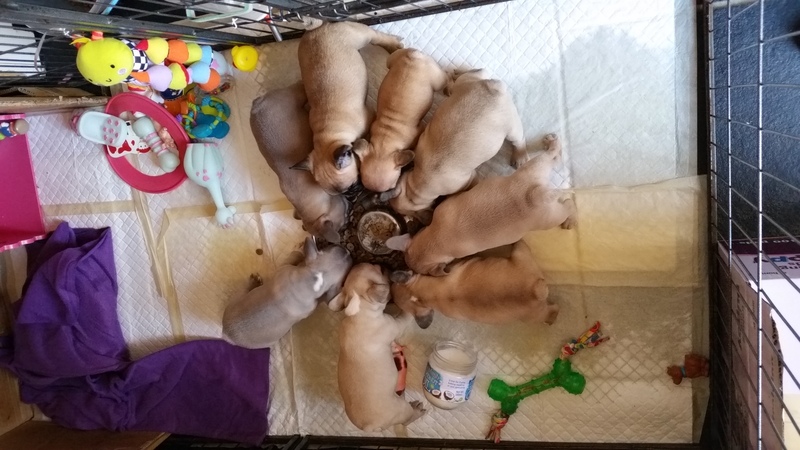 Beau self whelped this litter on the 4th August. We have a stunning rainbow of colours. These pups are very well bred and not a penny is spared for our grown up girls and the babies. All our puppies and their mums are born & raised in our family home so will be very well socialised! 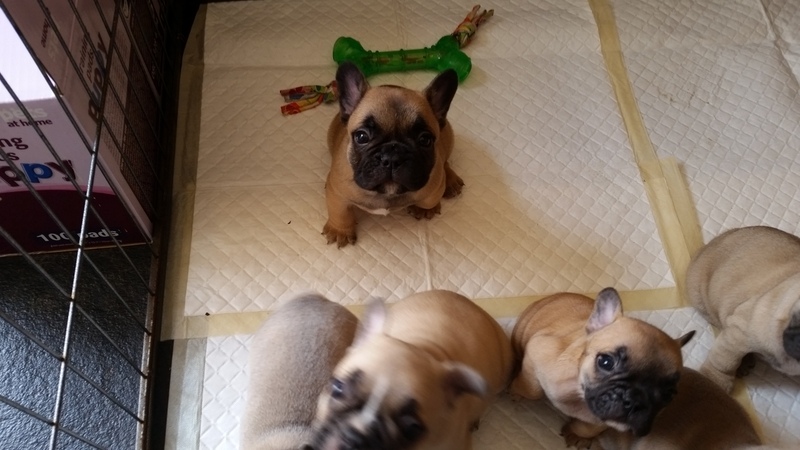 They are already well on their way to becoming puppy pad trained!, we have had success in all of our previous litters, so we plan to have the same results this time round. We have 4 girls and 2 boys remaining. Dad belongs to a very close friend of mine who has been breeding dogs for 20+ years. 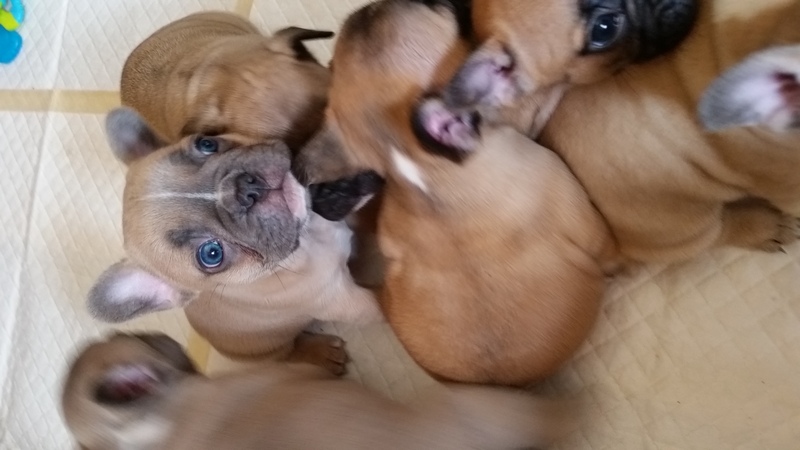 Dad 'Norman' is incredible super cobby blue fawn, carrying cream & chocolate - from the incredible 'Spike'. Both mum and dad are HC clear and are very healthy with no sign of any degenerative conditions. £300 deposit secure's your chosen puppy! These pups have been raised on the best of everything so have all they need for the very best start in life! *8. 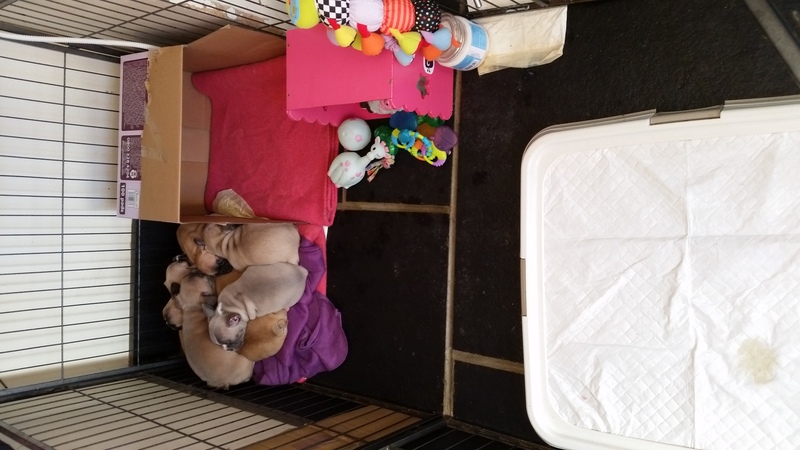 Puppy pack with everything needed to help them settle into their new forever home! Viewings are very welcome, however please no time waster's please as I am on life prolonging chemotherapy which leaves me very tired. If you have any questions at all please do not hesitate to contact me (jemma).